Docks - Spare Spreader Block and Arms 42"
42" Spare Spreader Block and Arms, the same used in the Docks Terminator Landing Net. The ESP Net Float is designed to simplify the job of landing carp by holding the entire landing net on the surface of the water while the carp is being played. A landing net placed into the water during the fight will take on water and sink - this makes it heavy, less manoeuvrable and increases the risk of the mesh snagging on the lake bed. 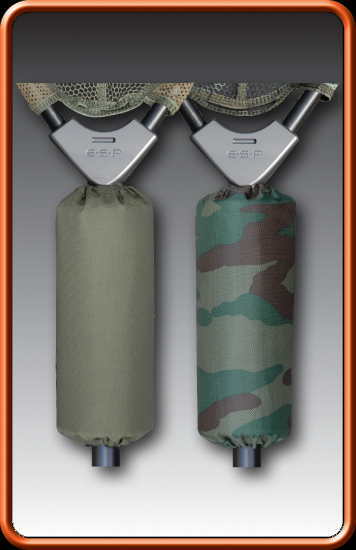 The ESP Net Float keeps the net close to hand and makes the landing of lively carp easier and more efficient. Image for display purpose only. 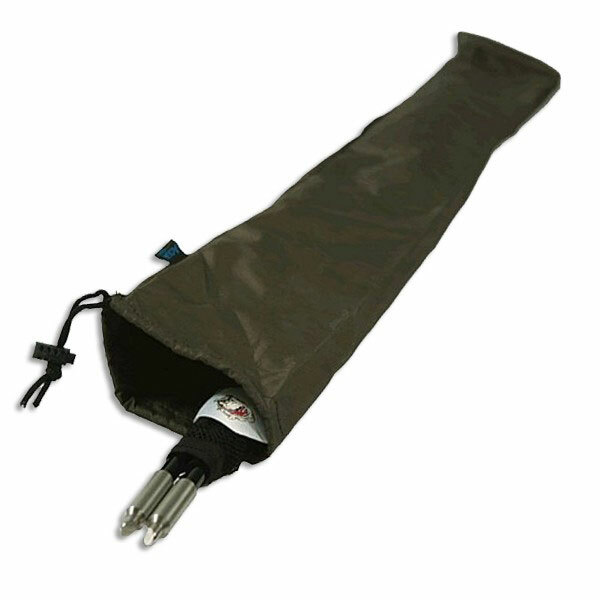 Designed for the storage of a Landing Net Handle, Arms and Mesh.. The sleeve itself is made from heavy duty green canvas and fits neatly into holdalls and quivers. Will take handles up to 6ft3" long. Seperate pocket for arms and mesh. This no nonsense Gardner net float adds buoyancy to landing nets stopping them from sinking. Perfect for use with large landing nets that feature stainless spreader blocks. A pair of replacement carbon composite arms for use with the Out-Reach landing nets. These spare arms feature a gloss finish, grey rigid carbon composite construction. Gardner Out-Reach Spare Mesh 36"
Dual mesh features Free Flow sides, super soft Hex-Mesh base, and designed with an extended 'pan shaped' seamless belly for improved fish care. There is no seam along the base of the mesh so the fish never comes into contact with any rough edges. Gardner Out-Reach Spare Mesh 42"
Gardner Out-Reach Spare Mesh 50"
Net floats offer buoyancy to landing nets stopping them from sinking away in case of an accidental drop off of the boat and also to help when landing a fish as it takes some of the weight off the net, especially when fishing alone. . Stainless Steel tapered spreader block - looks great and is super strong for a lifetime's service. Fits all Alarms Including the Delkim Bite Alarm Range. Bite Alarms and/or Landing Net Heads can be removed quickly and easily. The Quick Release protects the thread on your alarms, pods/banksticks and landing nets because you no longer have to screw them in and out all the time.